Banner Engineering introduces K50L2 LED Indicators with IO-Link — Western Automation Inc. 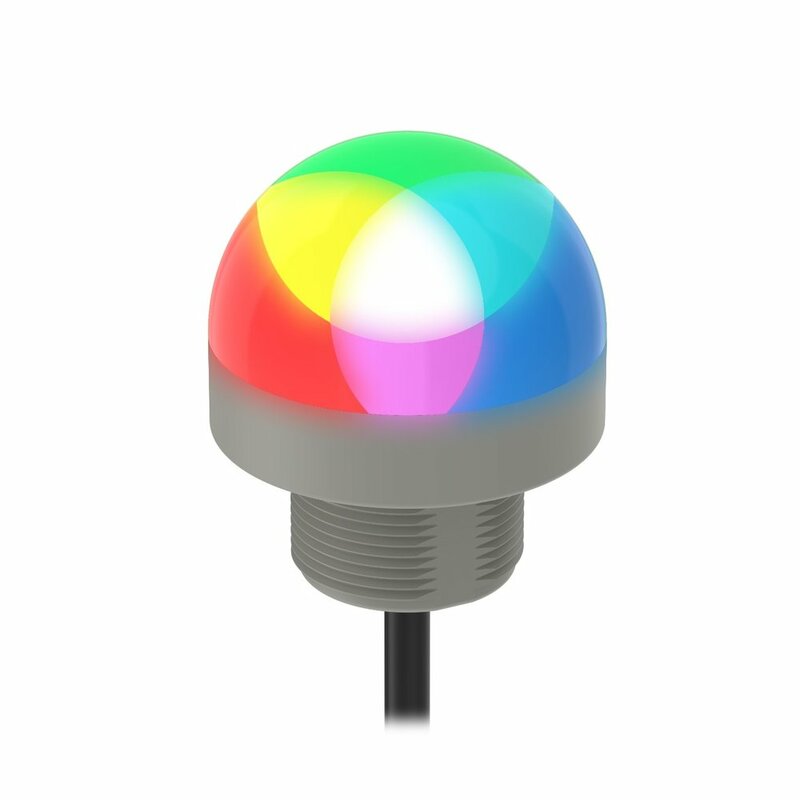 Select models of the recently released K50L2 series of multicolor RGB indicator lights are now available with IO-Link communication. The control capabilities offered by IO-Link combined with the color combinations available with RGB LEDs enable nearly limitless custom indication capabilities with single wire control. Customized Indication: Communicating through an IO-Link master device, users have full control of indicator color, flashing, and light intensity and can access millions of colors and advanced animations, such as rotation, strobing, 2-color display, 2-color display with rotation, 2-color flashing, and chase, where a single color spot appears in a background of another color while rotating—an effective display for indicating that a machine is in startup condition. Simplified Wiring: Indicators can be connected using standard unshielded 4-wire cables, which reduces the time and expense required for installation and simplifies inventory requirements.